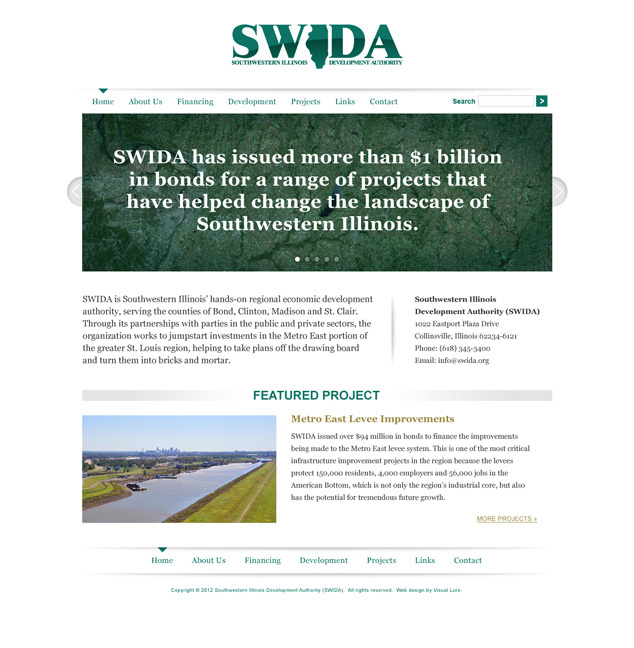 Visual Lure was recently contracted to design a new WordPress website for Southwestern Illinois Development Authority (SWIDA). 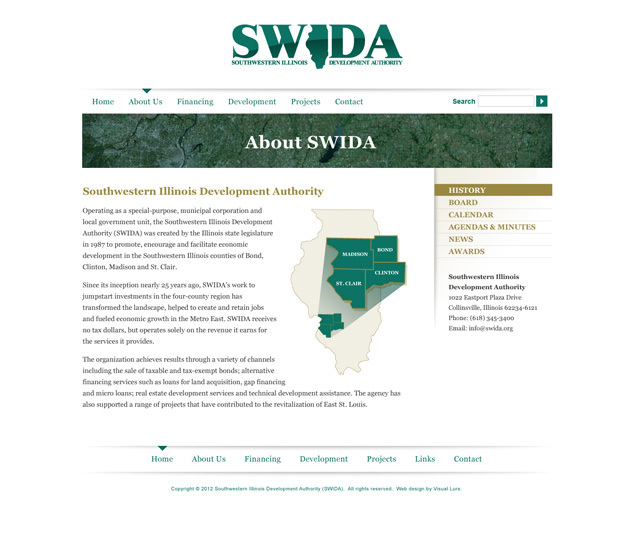 SWIDA is Southwestern Illinois’ hands-on regional economic development authority. Through its partnerships with parties in the public and private sectors, the organization works to jump start investments in St. Louis’ Metro East region, helping to take plans off the drawing board and turn them into bricks and mortar. The new website will be built in WordPress using a fully custom designed theme. Below is a sneak peek at the new home page and template design. Check back soon for the official launch.